@deshipu’s #circuitpython2019 « Adafruit Industries – Makers, hackers, artists, designers and engineers! 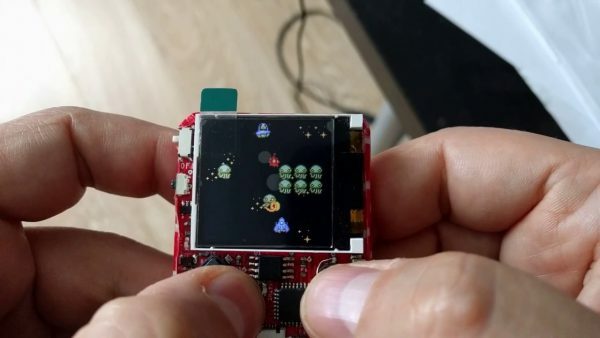 Radomir Dopieralski (aka deshipu), friend of Adafruit and uGame (pictured) creator, just posted his thoughts about CircuitPython in 2019. Check it out here. Adafruit has requested on their blog feedback and comments about CircuitPython in 2019, so here I go. I am mostly going to talk about three things: the projects that I personally want to do using it, the ongoing developments that I would love to see finished this year, and some completely crazy stuff that could potentially be added if someone smarter than me and with copious free time worked on it. We’d love to hear your thoughts as well! Check out our call for posts here for all of the details. Stay tuned for more people’s thoughts and an overall post at the end of January.